People ask us the “trick” to making money in the stock market all the time. Usually we tell them there isn’t one: the keys to success are a time-tested system, a plan, and the patience and discipline to follow it. This time of year is the exception to that advice! The U.S. tax code requires investors to pay capital gains taxes on their investment profits each calendar year. For obvious reasons, most investors don’t enjoy forking over part of their earnings to the IRS in April—and capital gains taxes can be as high as 43% on profits from investments sold after less than a year. Many investors do whatever they can to avoid these taxes, including selling losing positions that they might otherwise hang on to. When you sell a stock for a loss, you can use that loss to offset profits realized by selling winners the same year. 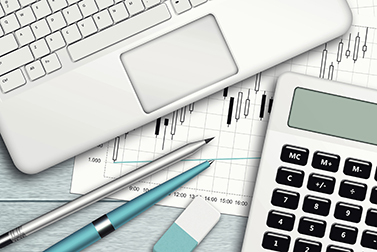 Profit from a select group of low-priced stocks with immense short-term profit potential. We fully expect that investments in this year’s report will be just as rewarding. This “tax-loss selling,” as it’s called, tends to further depress the prices of the year’s underperformers in early December. Investors want to book their losses before the end of the year, so they can offset their profits from the same year. The effect is most noticeable in stocks that are the furthest in the red year-to-date. The chart below shows this year’s worst-performing sectors—industrials, materials, energy stocks and financials—all chock full of potential investing candidates for tax-loss selling this month. The selling tends to dry up around the middle of the month, as investors get their portfolios in order and begin their Christmas vacations. And then over the Christmas break and into early January, many of these stocks bounce back, as bargain hunters begin snatching them up at the attractive low prices—sometimes even the same investors who sold them a couple of weeks earlier. This rebound is sometimes called the “Santa Claus Rally,” and it’s a remarkably reliable seasonal pattern. According to the Stock Trader’s Almanac – the experts on seasonality – the market rises between Thanksgiving and New Year’s about 70% of the time. Come January, many of these rebounders continue to rise—small stocks and the prior year’s underperformers tend to do particularly well. In fact, studies have found that the worst-performing securities at the end of one year are some of the best-performing securities in the first quarter of the following year. 2019 Investing Candidates: Which Stocks Do I Buy? As shown in the chart below, materials stocks have been the worst dogs in the market this year. The sector suffered big selloffs in February and October, and didn’t participate in the broad market rally in between. That makes them good candidates for tax-loss selling. 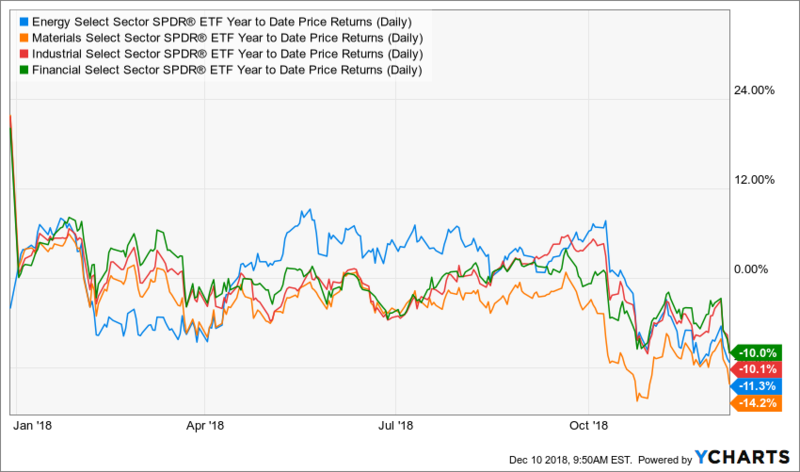 To weed out broken-down stocks, focus on materials stocks that are lower year-to-date but that are still outperforming the sector recently, like Air Products & Chemicals (APD). APD extracts and sells atmospheric gasses like oxygen, nitrogen and hydrogen to industrial companies and others, and yields 2.80%. Some energy and industrial stocks could also make good end-of-year investing candidates, but until oil prices stabilize (they’ve slid 30% over the past two-plus months) it’s best to tread with caution. Financial stocks are a safer bet going into the end of the year. The sector is down 10% year-to-date, so there are plenty of good tax-loss selling candidates, including some with high yields and strong earnings. Zions Bancorp (ZION), for example, yields 2.7% and is expected to report 7% revenue growth and 42% earnings growth this year. Get the list of additional Cabot’s 10 Favorite Low-Priced Stocks to buy before year’s end. This special report will be published on Thursday, so reserve your copy today! *This post has been updated from an original version published in 2015.
cabot, cabot dividend investor, Chloe Lutts Jensen, dividend, dividend investor, earnings, energy stocks, financial stocks, financials, great stocks, high yields, industrial stocks, investing, investing candidates, investment, investment ideas, investments, investor, investors, LOW, low priced stocks, making money in the stock market, materials stocks, mike cintolo, oil prices, PHM, Santa Claus Rally, small stocks, stock, stock market, stock trader, stocks, stocks for 2018, stocks to buy, target tgt, TGT, the stock market, WMT, yield, yields. 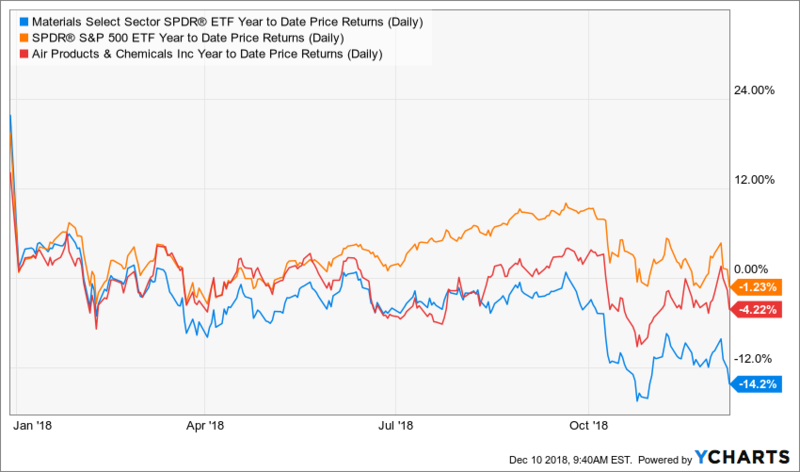 See your latest Cabot Dividend Investor update for more details, but in short, PGX is being dragged down by a selloff in the high yield market. Tighter monetary policy is gradually reducing demand for some higher-yield bonds (because treasuries are becoming more competitive), and, combined with higher volatility, has some investors concerned about liquidity in fixed income markets.